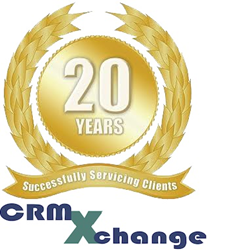 CRMXchange, celebrating its 21st year as the leading online information resource for customer care/contact center professionals, announces a series of free educational events to address these vital issues. The schedule includes multi-sponsor sessions, plus informational webcasts designed to help bring managers and executives up to speed on emerging strategies and proven best practices. Organizations that actively focus on helping people solve problems quickly and easily are often the most successful at building customer loyalty. Such businesses take proactive steps to identify and correct the points in the customer journey that require the highest effort. Join this roundtable and learn how successful organizations guide customers to paths that make resolution easier, and find agents who can most effectively assist customers and better manage interactions. Contact Center leaders are pressured to look for new ways to achieve optimal operational efficiency. The potential to have dramatic, sustainable improvements in call processing efficiency, volume and results is real and within reach. But How? Join this webcast to learn how to use Speech Analytics to analyze every customer interaction and provide actionable insights that drive revenue impacting improvements to contact center processes, efficiencies and agent behaviors. A panel of experts are on hand to answer questions on Visual IVR and digital customer service. Find out how companies are using Visual IVR to channel pivot expensive voice calls into a personalized digital self-service experience resulting in call reduction by at least 10%. Hear client use cases and actual Visual IVR results from Turk Telekom and Leumi Card, a Fortune 50 software company and a Fortune 100 Insurance company. The rapid proliferation of customer interaction channels challenges contact centers to maintain visibility into their service performance. Customer experience blind spots develop complicating decisions on where to focus improvement initiatives. Or worse, hiding potentially damaging service failures. Join us to learn how your organization can shed light into those blind spots to identify and prioritize opportunities for improvement. Join us as we discuss the next step after forecasting—the equally important step of using capacity plans as a 'what-if' engine. Simulation modeling describes what happens to service and costs as contact center’s operation changes. Optimization modeling tells how to best respond to a new scenario—using the capacity planning guides of hiring, overtime, training, and controllable shrinkage. Using these two technologies together answer questions on how to best manage our contact centers.